No one involved in a fatal seven-vehicle Florida truck accident in 2013 will face criminal charges, according to NWFDailyNews.com. According to the Florida Highway Patrol (FHP), two Bradenton residents were killed when a box truck struck the rear of their Honda Element while they were stopped at a red light at the intersection of US Highway 98 and Cody Avenue. The impact caused a chain reaction that involved five other vehicles. FHP investigators found no evidence that the 47-year-old box truck driver tried to brake before his truck hit and rolled over the couple’s Honda Element. 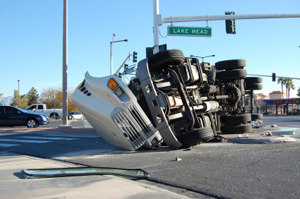 Moving trucks are just as dangerous as commercial trucks on the road when it comes to the damage and injuries caused. In fact, they are more dangerous, because they are usually operated by inexperienced drivers. If you have been seriously injured in a truck accident, get in touch with us today by calling (800) 383-7853 to schedule an appointment at one of our office locations. Free telephone consultations are always available. What Causes Swelling After Brain Injuries? What Are The Dangers Of Plastics Factories?